MyHosting is a great company and they offer affordable VPS hosting for both Windows and Linux operating systems. For those who prefer cPanel/WHM VPS packages, MyHosting has this option as well. We think MyHosting is a great choice for affordable hosting for those who need Virtualization. Now part of the famous Ingram Micro Inc. (world’s largest B2B distributor of technology), MyHosting was founded in 1997 and has grown to serve over 50,000 hosting customers from more than 170 countries. With the company itself being more than 16 years old and most of the members in the management team having more than a decade of industry experience, MyHosting is steadily moving towards its goal of becoming a world leader in providing reliable yet affordable hosting. Be it by providing in-house or by partnering up with reputed third party solution providers, the company believes in giving its best to the customers. The quality of their service combined with great customer support has earned them positive reviews from existing happy customers and a good reputation in the market. Though their main focus is on VPS hosting, they also offer shared hosting, email hosting, domain name registration and web designing services. MyHosting offers an astounding number of VPS plans so much so that you’d be spoiled for choice. Be it Linux hosting, Windows based hosting, reseller hosting, business hosting, developer hosting or custom hosting, you name it, you get it. With so many plans at your disposal, scalability is the most obvious benefit you get on your platter. Setup too is quick and you get the root access to your server so that you can shut down, reboot and upgrade whenever you need to. You can also install applications and modify files at your will. All of these plans come with Apache, PHP, MySQL, Perl, phpMyAdmin, Webmin, Java and Silverlight. All plans have remote desktop, ASP, ASP.NET, Microsoft .NET and Microsoft Access. Custom VPS starting at $15.95 per month can be either Windows or Linux based. 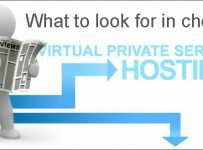 All VPS hosting plans from MyHosting come with 100% uptime guarantee, 24×7 customer support and 30 day money back guarantee. MyHosting uses Dell servers that are powered by Dual Quad Core processors and 16 GB RAM. The server speed is further increased by NetApp arrays in the backend. Diesel generators and backup UPS systems ensure uninterrupted power supply to the server and other infrastructure. To ensure that the servers run in the most ideal conditions, constant temperature of 21 to 24 degrees centigrade with relative humidity of 45 to 55 percent is maintained with the help of multiple air conditioning units. The web servers are connected directly to the fiber optic networks in a safe and secure environment. The speed and capacity of the network is maximized by creating alternate data transmission routes on several Tier 1 connections. In addition to installing layered architecture firewall, antivirus software and real time intrusion detection scanners, the network is monitored round the clock by certified security professionals. EarthLink and Equinix need no introduction in the IP infrastructure and data center services sector. Whereas EarthLink has been serving over 1.6 million customers in the US, Equinix operates 87 datacenters in 11 countries. MyHosting servers are housed in these world class datacenters from Equinix and EarthLink located respectively in Toronto, Canada and Rochester, New York, USA. The datacenters have high end security measures in place. They are under camera surveillance and protected by security guards 24×7. Entry to the datacenters is controlled by means of access cards. To prevent and suppress any fire hazards, the facility is equipped with waterless, environment friendly, FM-200 based fire suppression system. MyHosting is a Microsoft Gold Certified partner. They were also the launch partner of Microsoft for their Windows Server 2012. They bagged the prestigious Hosting Partner of the Year award from Microsoft, Canada in 2012. Parallels, the world leader in virtualization technology, recognized the excellence of MyHosting in Parallels automation and collaboration services. They have also been approved, verified and awarded generously by various web hosting review sites. MyHosting is hailed for its quick and responsive support. Their support center works 24×7 all through the year. The average wait time for getting phone support is less than 2 minutes. And if you are contacting them through email, you can expect a response within an hour. You also have the option of online chat support and requesting a call back. 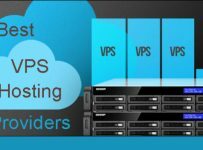 If you are buying a VPS plan with Plesk or cPanel, you are also entitled to their VPS expert support without any charges. This support service is intended to help you with hardware issues like sluggishness and load time, disaster recovery, etc., preinstalled software issues like DNS configuration, OS reinstall, firewall setup, etc., and third party application issues like website troubleshooting and package installation. Instead of trying to do everything by itself, MyHosting has successfully harnessed the power of partnership to offer the best performance at affordable prices. 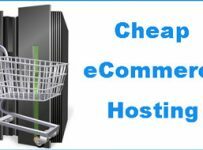 Though basically targeted at small and mid-sized businesses, I think businesses of all sizes can take advantage of their down-to-earth pricing, so far VPS hosting is concerned. With the 30-day money back guarantee in place, you don’t have anything to lose after all. Why not give it a shot!